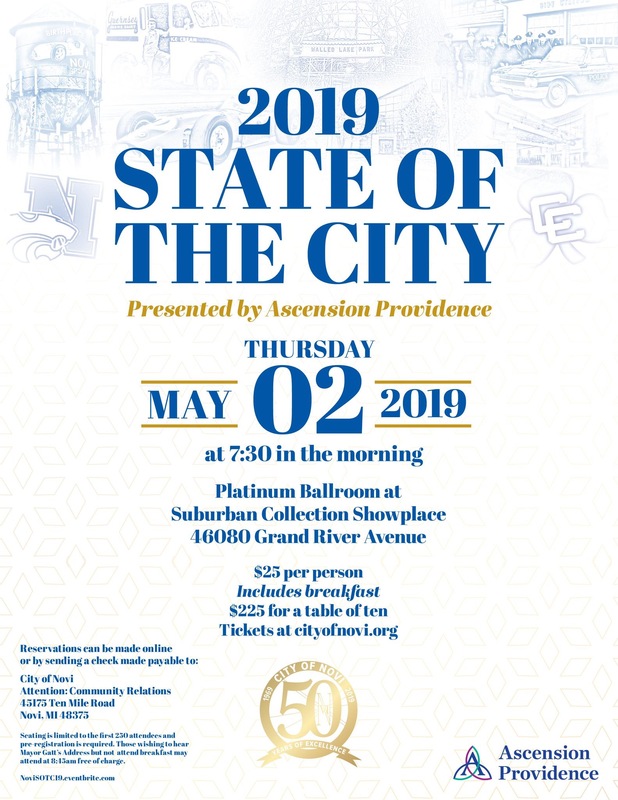 The City of Novi invites you to join Mayor Bab Gatt and City Council members for the 2019 State of the City Address and breakfast presented by Ascension Providence, Novi Campus. Seating is limited to the first 250 attendees. Those wishing to hear Mayor Gatt's Address but not attend breakfast may attend at 8:45AM FREE of charge. Where: Suburban Collection Showplace, 46100 Grand River Ave.
Tickets: $25 per person or $225 for a table of 10. Visit NoviSOTC19.eventbrite.com for more information or to but tickets.